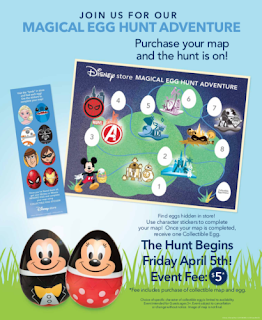 This year the Disney Sore is hosting a Magical Egg Hunt Adventure. Fans of all ages are welcome to participate. 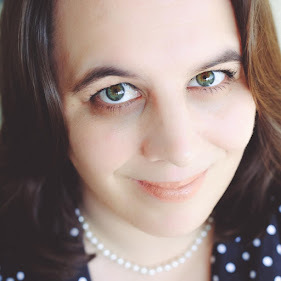 This post may contain Spoiler Photos of several of the eggs, as well as the prize. 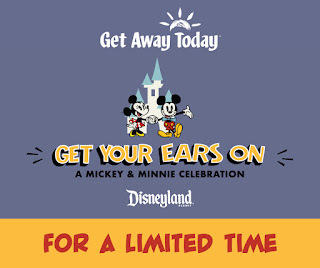 Guests can purchase a collectable map for $5 starting April 5th - April 20th (while supplies last). The prize comes with the map at no additional cost. 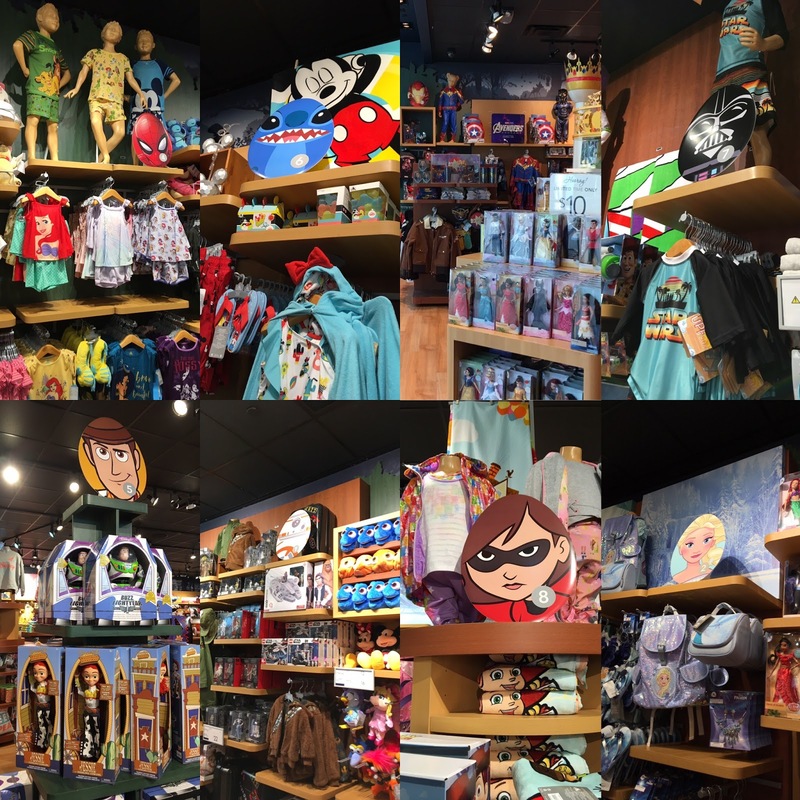 Once you have your map you are ready to go on your scavenger hunt in the store. 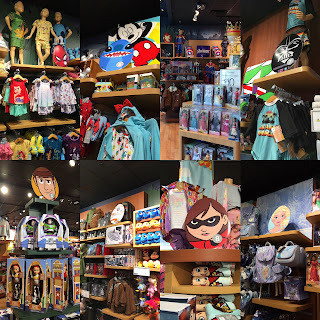 You will begin looking for large size cardboard Disney Character themed Eggs. After you find each egg place the corresponding sticker on your map. 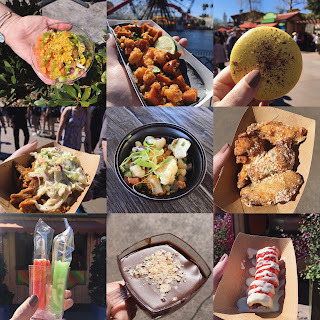 When you have completed your hunt see a cast member for your special prize. The prize is either a Mickey Mouse or Minnie Mouse egg. 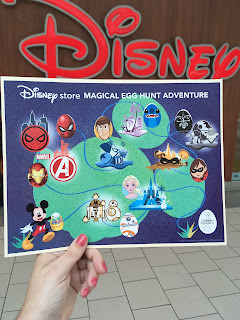 Inside each egg is a special sticker you can place on your map. 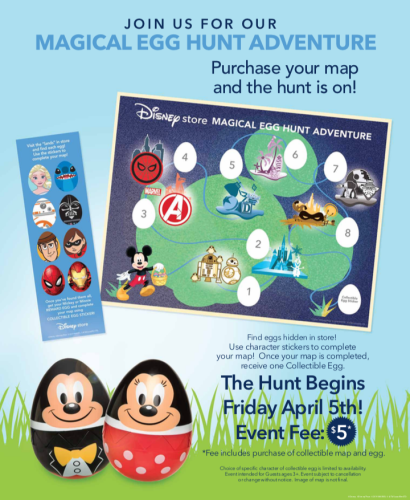 If you would like to collect both Mickey and Minnie eggs you will need to purchase two maps. 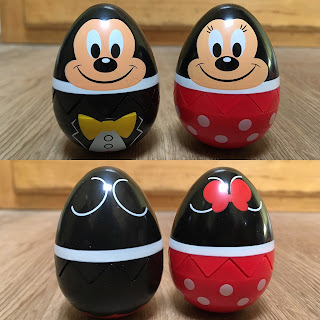 My local store cast members allowed me to purchase two maps and collect the Mickey and Minnie prize eggs ahead of time without having to place all my stickers on the map. I also appreciate that this event was on multiple days, so you can go at your leisure. 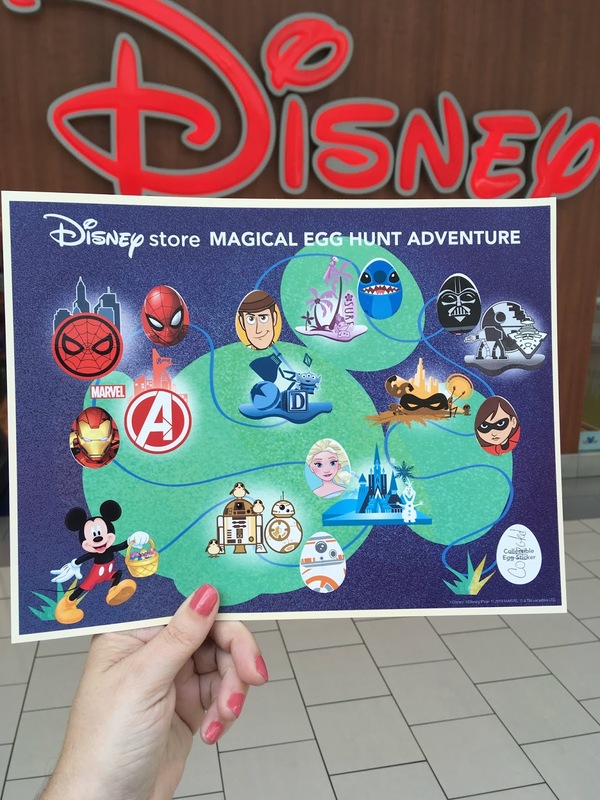 Don't wait, hurry down to your local Disney Store to go on your own Magical EGGventure Hunt!